Looking for a super spooky DIY that will have all the neighbors turning their head? 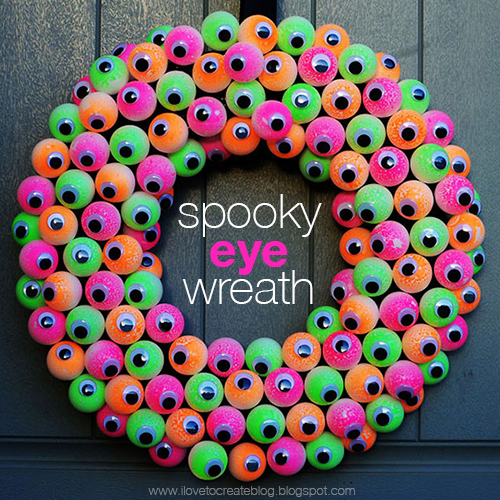 Make this fun, spooky wreath that will greet your trick-or-treaters and add a little fright to your front door! 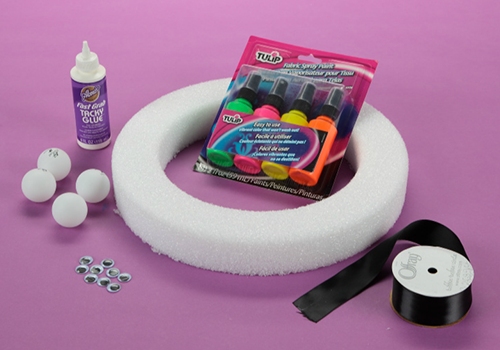 Wrap the satin ribbon around the wreath form slightly overlapping the ribbon as you go. Secure with Aleene's Fast Grab Glue. 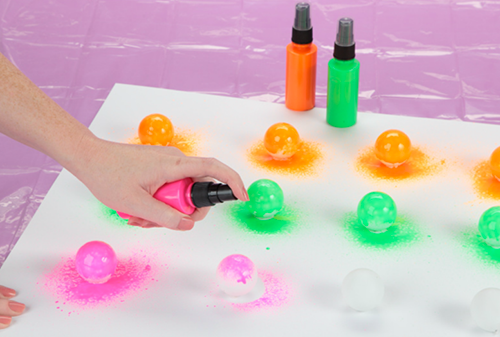 Lay down paper towels and spray your ping pong balls with the fabric spray paint. We sprayed ours with varying colors of orange, pink, and green! Once dry, apply googly eyes to top wi th the Fast Grab Glue. 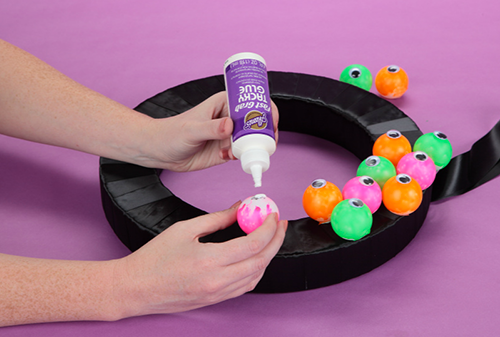 Add glue to back of ping pong ball and position on wreath. 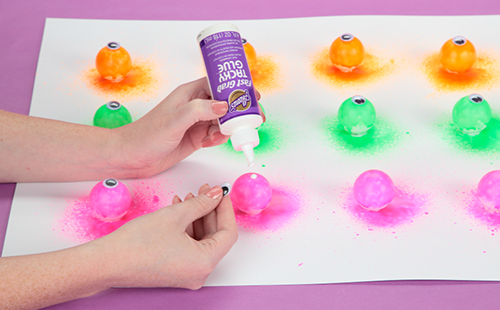 Add ping pong balls to the tops and sides, randomly mixing your colored balls. 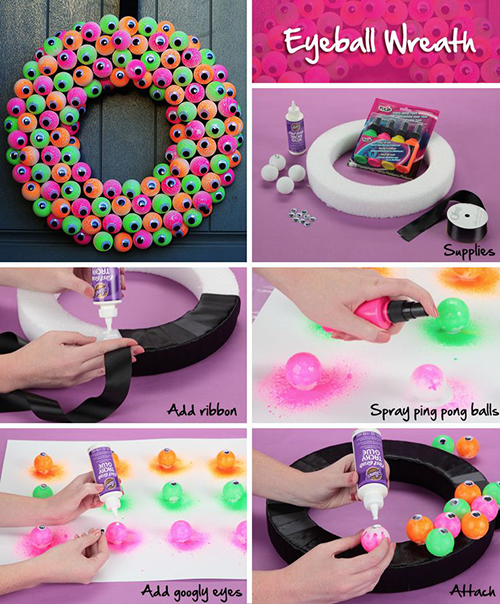 The more ping pong balls you glue, the more impactful and abundant your wreath will be! We love how this wreath turned out! Here's a condensed version of our project for you to pin or share on your favorite social media sites! Happy Halloween. Wha ha ha!!! !